(via NASCAR Wire Service) SONOMA, Calif. – Take the aerodynamic factor away and the new Chevrolets are just fine, as Kyle Larson proved Saturday in his pole-winning run at Sonoma Raceway. Larson negotiated the 1.99-mile road course in 75.732 seconds (94.597 mph) – the fastest lap of the day – to earn the top starting spot in Sunday’s Toyota / Save Mart 350 (3 p.m. ET, FS1, PRN, SiriusXM NASCAR Radio). 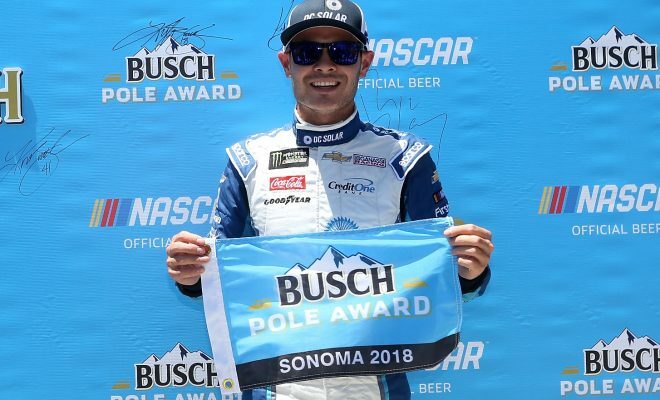 The Busch Pole Award was the California native’s second of the season, his second at Sonoma and the sixth of his career. Driving the No. 42 Chip Ganassi Racing Camaro ZL1, Larson edged reigning Monster Energy NASCAR Cup Series champion Martin Truex Jr. (94.227 mph) by .09 seconds. 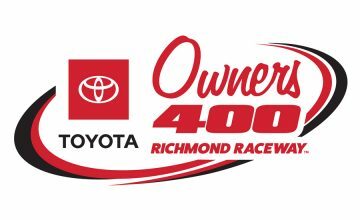 Truex will take the green flag from the front row for the fifth time in 16 races this season, having won three poles and having started first at Martinsville after a qualifying rainout. Road course ace AJ Allmendinger was fastest in the first of two rounds at 94.477 mph (75.828 seconds), but Larson made a huge gain in the money round. “It was a really good second lap there,” Larson acknowledged. “I figured I had run in the 75-second bracket. I just didn’t know how quickly, so when I saw the (75.732) pop up on my dash, I knew (it) would be a good lap, but I didn’t know if it was the pole or not. “Once I knew I was ahead of the 78 (Truex), I figured the 47 (Allmendinger) was the only one that could beat me. I’m not sure where he messed up his lap, but he wasn’t able to get the pole (Allmendinger qualified fifth). 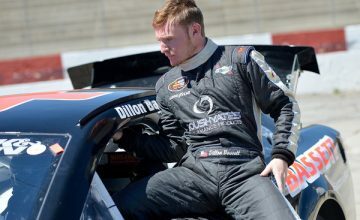 Chase Elliott qualified third, followed by Jamie McMurray, Larson’s Chip Ganassi Racing teammate, as Chevrolet drivers claimed six of the top eight starting positions. Truex had the fastest Toyota, and sixth-place qualifier Kevin Harvick the quickest Ford. “It was a good lap,” Harvick said. “My Ford is a little better than me when it comes to this day. I was a little too conservative in a couple corners and gave up a little time, but it was a solid two rounds for us. Hendrick Motorsports, which supplies the engines for Ganassi, placed three drivers in the top eight, with Elliott, Jimmie Johnson (seventh) and Sunoco rookie William Byron (eighth) all earning spots in the first four rows. Johnson’s starting spot is his best of the season so far. Series leader Kyle Busch qualified ninth. “Our qualifying run was okay,” Busch said. “For some reason, we’ve kind of been lacking here this weekend. We haven’t been able to find that fast lap. We keep trying to work on the car and on the driver and have certainly made improvements to both, just not enough of them.